The Zambia police says will start arresting arresting people found wearing mini skirts, sagging trousers , skinny jeans, leggings, ripped jeans, and lace attire. 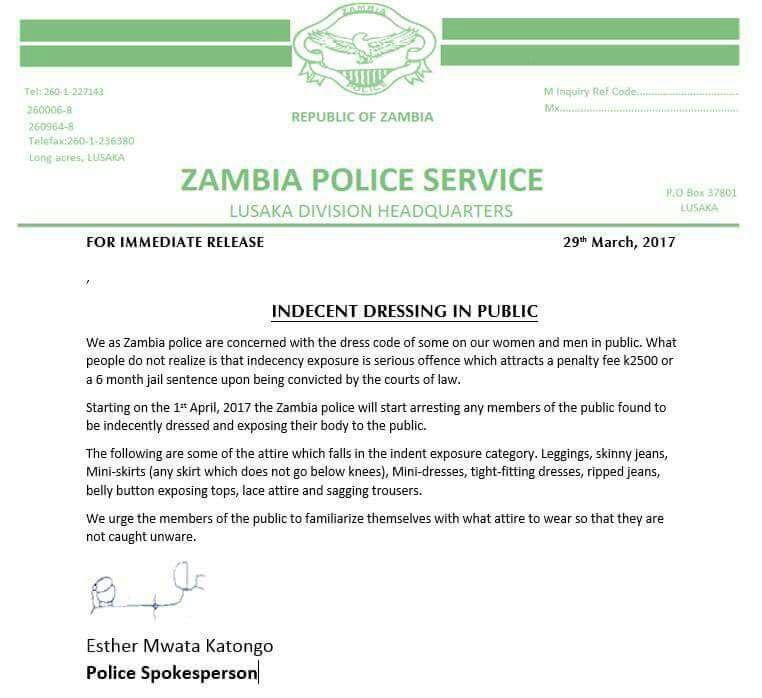 Police spokesperson Esther Katongo says the ban on such dressing is effective 1, April 2017. By this being PF, they will rescind this decision once the public reacts.